In 1819 a Yorkshire-born missionary and enthusiastic amateur farmer, the Reverend Samuel Marsden, decided to plant around 100 grape vines near the settlement of Kerikeri on New Zealand’s North Island, believing that the soil thereabouts would be ‘favourable to the vine’. Fast forward 200 years, and you can now visit the Marsden Estate, named in honour of the reverend, just outside of Kerikeri village, and sample their Pinot Gris, Chardonnay or Merlot while basking in the stunning lakeside views. 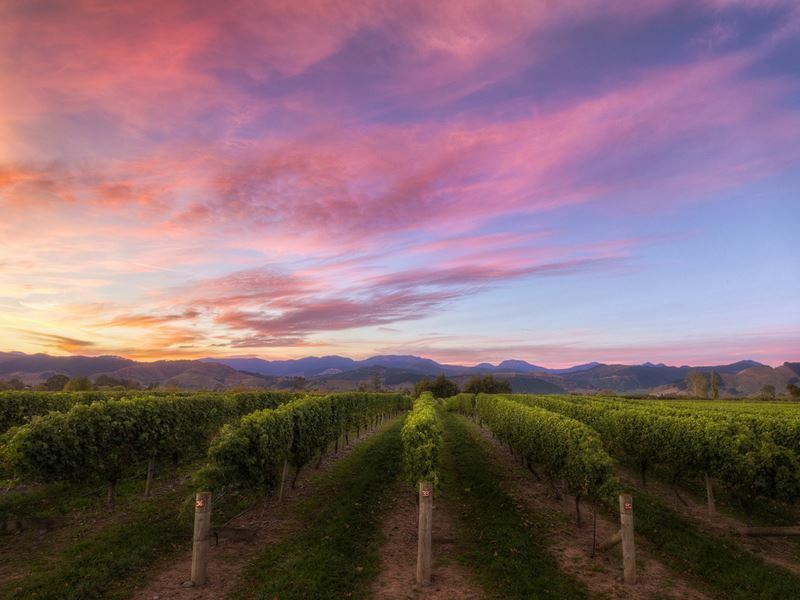 Or you might spend a few days touring the dozens of vineyards and wineries that surround Auckland, before crossing the Cook Strait to the South Island, where you can explore the vast Marlborough region. Because when you’re right, you’re right, and by the 1980s Samuel Marsden’s educated guess had been completely vindicated, as the Sauvignon Blanc then emerging from New Zealand drew widespread critical acclaim, and put kiwi wine producers firmly on the map. New Zealand wine regions benefit from a diverse range of mineral-rich soils and topographies. The country has a maritime, often damp climate, with mild winters and cool summers that lend themselves well to flavoursome slow ripening. Unique flavours and aromas have emerged, still dominated by Sauvignon Blanc but with Pinot Noir, Riesling and Chardonnay also in the ascendant. Grape harvesting season on the North Island typically begins from late February, several weeks before it starts in the south. Wine touring in New Zealand is easy and very enjoyable at any time of year, whether you’re travelling by car, bicycle or organised coach excursion. But given that most New Zealand holidays will last no more than a few weeks, this guide aims to help you make the most of your time by throwing some light on the different wine regions. And please, remember to raise a glass to the good Reverend Marsden while doing so. The North Island is known for an almost subtropical climate, more humid and rainy than the South. While this provides a challenge for growers, it also results in fertile conditions for vine growing, with subsequent scope for very high-quality wines. The interesting thing about wine production in Auckland and the surrounding area is that the terrain and the wet climate are not especially conducive to vine-growing, but that hasn’t stopped it from becoming one of New Zealand’s most influential wine regions. Producers here import a wide variety of grapes from vineyards across the country for their vintages, with the Chardonnay a clear stand-out, and some remarkably intense Cabernet blends. Many of these wineries were begun by enthusiasts arriving from England, Croatia and even Lebanon in the early 20th century, and are still operated by the same families today. Much of the best Chardonnay and Merlot comes from the Kumeu River district, a fashionable area bursting with superb eateries, located just to the west of Auckland city. Think of it almost like a mini Napa Valley, kiwi-style. Matakana, about an hour north of Auckland, has a balmy climate, and produces some interesting Syrah and Pinot Gris. 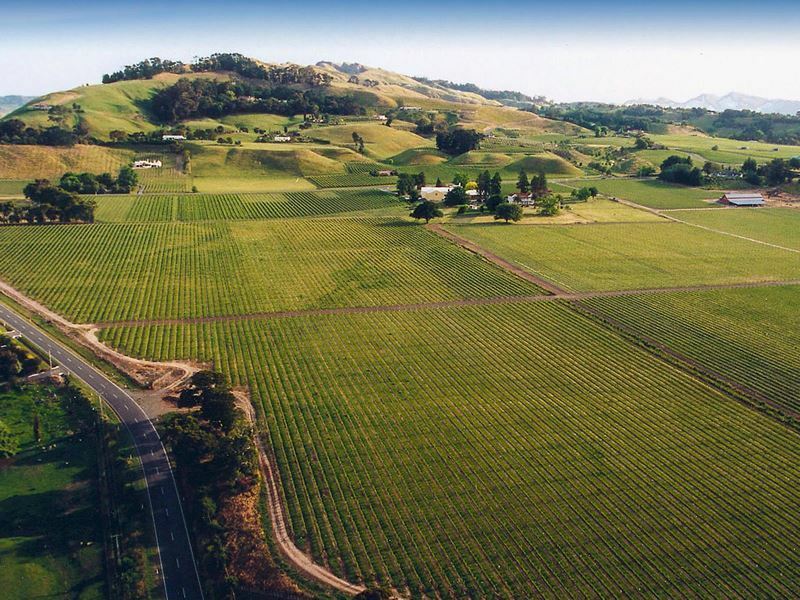 Clevedon is an emerging premium wine district, about 30 minutes by road south of Auckland. The Vin Alto vineyard, which also features a deer farm, produces several succulent and complex Italian-style wines, including Pinot Grigio, with an inviting marriage of Old and New World techniques. Make sure you try the refreshing White Port spritzer as well. 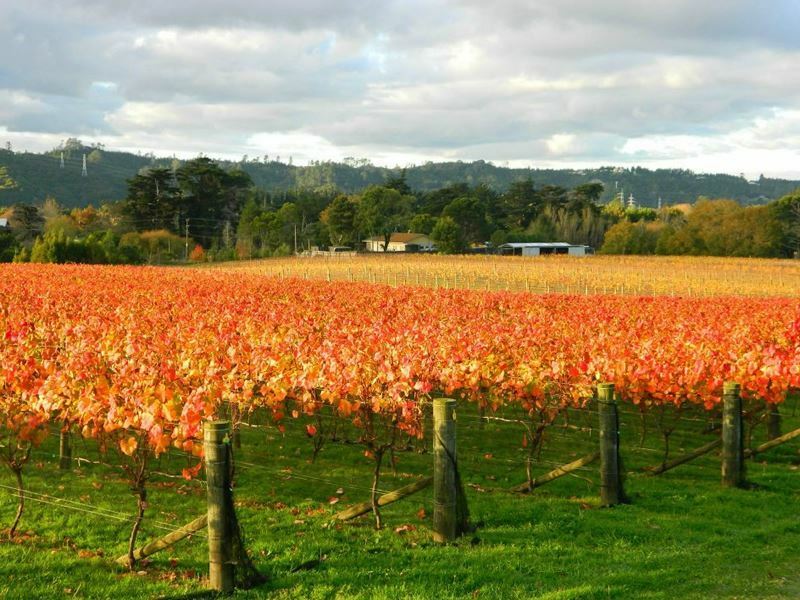 Coopers Creek in Kumeu is a fabulous vineyard to stop by during the summer months, when cellar door visits and tastings can be combined with BBQs, picnics and live jazz in the grounds. Both the Chardonnay and the Riesling here have earned a sterling reputation. Just 30 minutes by ferry from downtown Auckland, or 45 minutes from Half Moon Bay, Waiheke Island is an up-and-coming North Island wine destination, very trendy, and a grand day-trip for anyone wanting to escape the hustle of the city. Once ashore, you can get around by public bus, hire car or bicycle. The island is dotted with fragrant vineyards, mainly located in the centre and the west, with olive groves and picturesque beaches that are great for swimming and sunbathing. Mineral-rich clay soil here gives wines such as Merlot and Syrah plenty of structure and flavour. Cabernet Sauvignon and Chardonnay are among the most popular grapes grown on the island, but there are also small quantities of Sauvignon Blanc and Malbec. Awaroa Vineyard focuses on organic, sustainable production methods. Its vines are planted on gentle west-facing slopes, where a Bordeaux-like climate produces several excellent reds. The vineyard has a small tasting room providing an intimate setting. 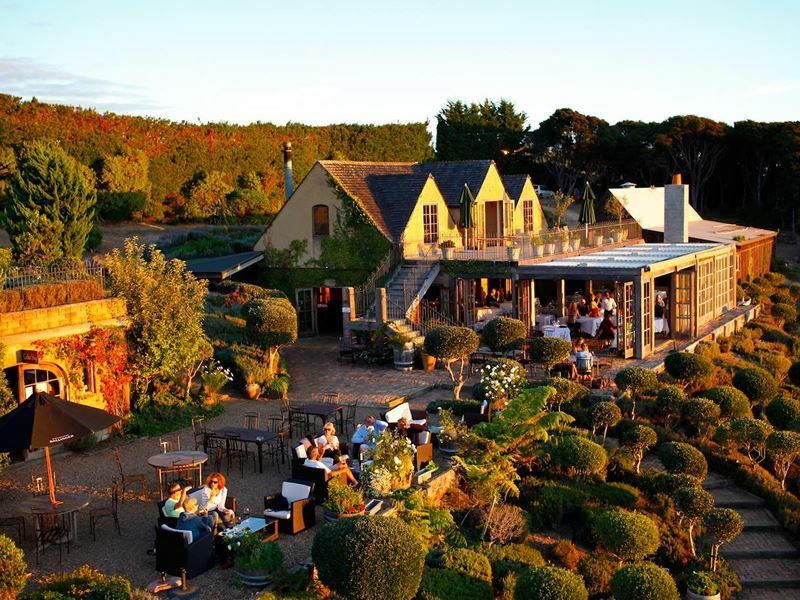 Mudbrick is a boutique, family-run winery that enjoys a truly spectacular setting, overlooking the sea and the city. They grow several varieties on-site, and import other grapes from around New Zealand, with the Chardonnay being a must-try. Part of the Central North Island region, the Bay of Plenty is well-known for its surf spots and kiwi farms. But the smattering of vineyards that you will find here have earned a solid reputation, boosted by a warm climate with coastal influences. You’re going to frequently encounter Chardonnay, Cabernet Sauvignon and Sauvignon Blanc in the Bay of Plenty, the fertile soil delivering some refreshing fruity notes. This North Island wine region is likely to expand rapidly in future. Note that there are several renowned cheese-makers in the rural communities of the Bay of Plenty, which will can provide you with an excellent accompaniment to your wine-tasting. Floating Rock Vineyard makes fine use of its volcanic pumice and gravel soil to produce deeply characterful wines on the shore of Lake Taupo, in the far south of the region. One of the largest and most exciting wine regions in New Zealand, Gisborne is situated on the North Island’s far easterly point. This was where Captain Cook made landfall, and you can see a monument to him on the Titirangi Reserve, a former Maori pa. The vineyards hereabouts see ample sunlight, while benefiting from shelter from the mountains to the west. The Gisborne region, while beguiling, is quite remote, so you’ll want a car to explore the area in-depth, but the wines here are packed with flavour and enjoy widespread approval, so it’s definitely worth making the journey. Gisborne producers go big on Chardonnay, but there are also several notable varieties of Pinot Gris, and some pleasant aromatics such as Riesling and Chenin Blanc. Millton Vineyard, just outside of central Gisborne, follows the biodynamic agriculture principles of the philosopher Rudolf Steiner to create a diverse range of wines including Riesling, Malbec, Chenin Blanc and barrel-fermented Chardonnay. 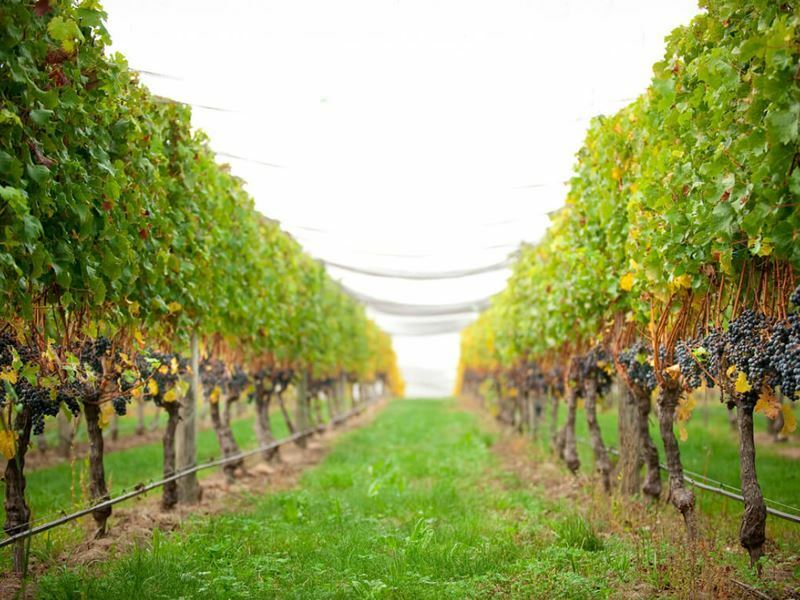 Hawkes Bay is the oldest wine region in New Zealand, the first vines planted by missionaries back in the 1850s, and it also ranks among the country’s top foodie destinations. It comprises several subregions, from river valleys to alluvial plains and coastal areas, and boasts a warm, dry climate that’s especially suitable for reds. Outstanding food and drink festivals pepper the calendar, and the Art Deco architecture of Napier, built following the earthquake of 1931, is a major cultural highlight of the Hawkes Bay wine route. Vintages run the gamut from Cabernet and Merlot blends to Syrah and Pinot Noir, and because of the lengthy growing season, there is also a number of fantastic dessert wines to sample. 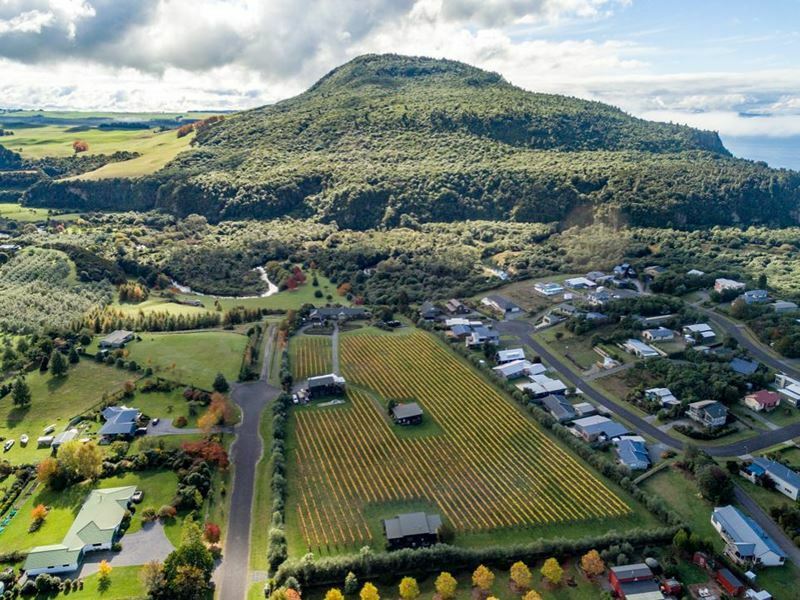 The delicious fruit wines of Sentry Hill, close to Mount Taranaki and no doubt benefiting from the volcanic terrain, have garnered dozens of awards. If wine is not your thing, you can also taste their fresh apple cider, while drivers can sample a range of lip-smackingly good fruit juices. 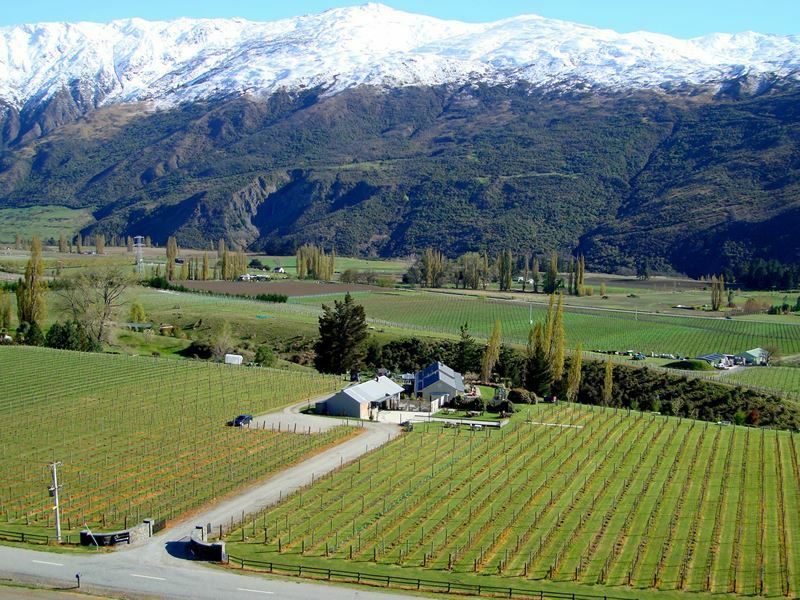 Established by French missionaries to produce their sacrament wines, the Mission Estate is New Zealand’s oldest wine concern, with an international standing. If you choose to eat at the splendid restaurant, then request a table out on the terrace, as the views across the gardens are sublime. The vines of the sprawling Te Mata Estate, surrounding a historic and much-photographed homestead, are some of the first in the world to see the breaking of dawn every day. You can get an idea of the estate’s standing from its production record - 40,000 cases a year, exports to at least 42 countries worldwide. After the Reverend Marsden’s early experiments, Croatian immigrants followed shortly afterward with their European techniques, but it was actually a Scot, James Busby, who made the first wines in Northland. This is a small, but rapidly expanding New World wine region, and another mecca for foodies, building on its heritage with peppery Pinots, tropical and fruity Chardonnays that go exceptionally well with the local seafood, and Shiraz that’s loaded with spice. If you’re staying in Auckland, then you can make a long day-trip to Northland without too much difficulty. Most wineries and vineyards are within a few hours’ drive of the city. But then you’d miss out on the joys of chinking glasses aboard a sunset cruise in the Bay of Islands. Okahu Estate, near Kaitaia, makes good use of its terroir to craft small production wines including its Shipwreck Bay line, named for a local beach, and the exclusive Kaz from Syrah grapes. They also specialise in an aromatic tawny port, with hints of raisin, caramel and dried apricots. Maori mythology has it that an early canoe, the Waipapa, landed on the Karikari Peninsula with its Polynesian explorers. 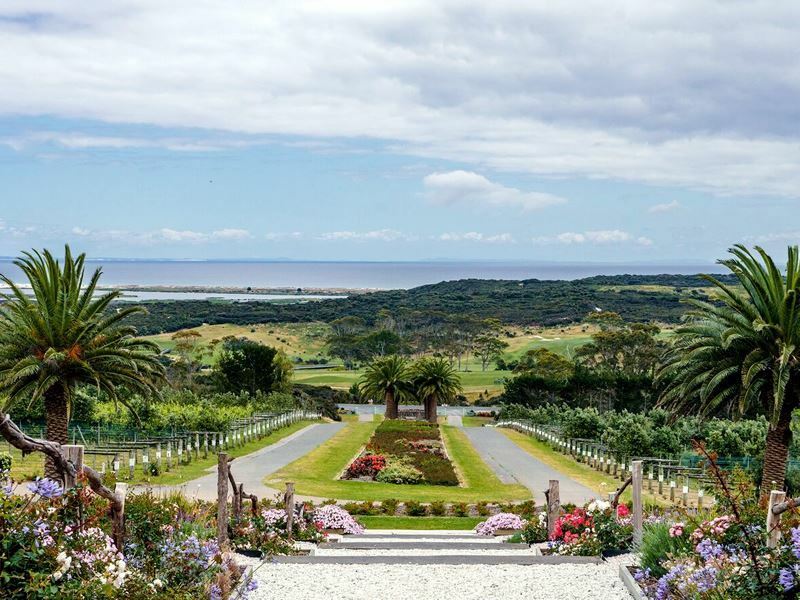 You can take in sensational panoramas over the coast at the Karikari Estate, which is New Zealand’s northernmost vineyard and winery, producing full-bodied Chardonnay, Tannat and Merlot. Tucked away at the bottom end of the North Island, just a short drive from New Zealand’s windy capital, Wellington, Wairarapa is a boutique wine region with only a tiny proportion of the land set aside for vine cultivation. Of a handful of subregions, Martinborough is the most distinctive, an idyllic colonial community around which are clustered several family-run producers that punch well above their weight on the international stage. The Pinot Noir coming out of Wairarapa at the moment is absolutely thrilling, and given you can easily walk between most Martinborough wineries, it makes sense to start there. Gladstone, slightly to the north, is a good place to visit during March when the harvest festival showcases local produce alongside the aromatic wines that originate here. At Nga Waka in Martinborough, the name inspired by the three hills that form a backdrop to the town, the wines are designed to be enjoyed with food rather than on their own, and there is a strong focus on giving each vintage plenty of time to mature. Expect to find superb Chardonnay and Riesling here, and also an excellent Pinot Rose, something that’s very tricky to get right. Gladstone Vineyard occupies an enviable location on an old river terrace, prime terrain for grape-growing, so it’s no surprise that their ranges have garnered so many plaudits. Sample them with a BYO picnic and a game of petanque in the pristine wine garden. The South Island has fewer wine regions than the North Island, but those it does have are ranked as some of the country’s most illustrious. Nelson Tasman, in the far north of the South Island and just a two-hour drive from the Picton ferry, is New Zealand’s sunniest, and surely one of its most picturesque wine regions. The whole area has a boutique, bohemian atmosphere to it, with galleries and artisan eateries in abundance, and of course Nelson Tasman also has fantastic potential for those who favour an outdoorsy holiday. There are several awe-inspiring national parks here, and a handful of New Zealand’s ‘Great Walks’ including the Abel Tasman Coastal Track. Averaging around 2400 hours of sunshine every year, moderated by a mild coastal climate, Nelson Tasman has two subregions: the Moutere Hills, and the cooler, drier Waimea Plains from where several interesting varieties are emerging at the moment. 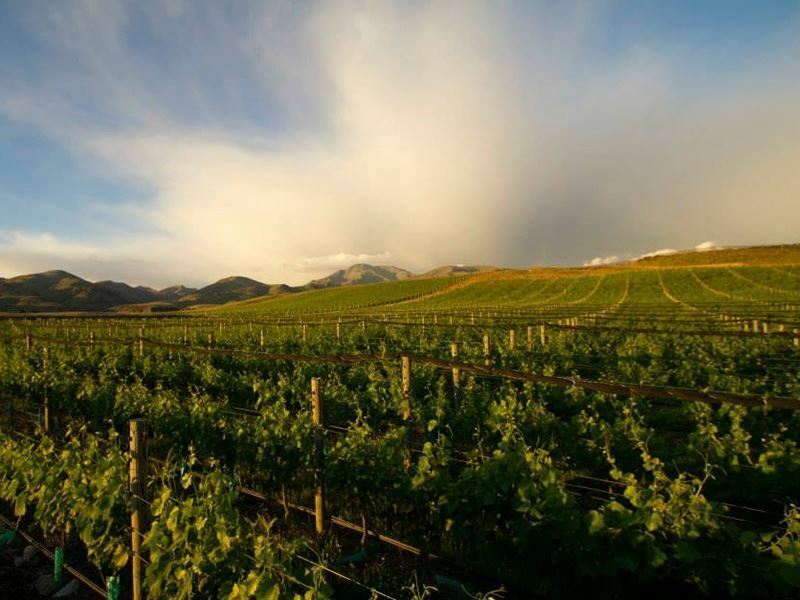 You’ll notice that many of the well-established Nelson vineyards have Germanic names, as early settlers from that part of the world were the first to plant vines here. Nelson Tasman is a compact wine region, so easily navigable, with considerable diversity in its Pinot Noir, Chardonnay and Sauvignon Blanc. Owned since 2011 by a couple of passionate wine enthusiasts that have travelled the four corners of the world in search of a place to call home before settling on New Zealand, Kina Beach Vineyard has earned multiple awards since it first started producing wines in 2003. The wonderful setting, overlooking the Tasman Sea, certainly doesn’t hurt the atmosphere during tasting sessions here, where you can also pick up some useful food pairing suggestions. The name of course evoking Tolkien’s ‘Lord of the Rings’ trilogy, which was filmed across New Zealand by Peter Jackson, Middle Earth Wine is located in a Nelson subregion, Brightwater. Sustainable production techniques, sunny skies and cool, clear autumnal weather leads to fruity, acidic mineral-rich wines. Try the promising new Albarino, or the popular Pinot Rose. By the way, if you want to combine your wine-tasting with exploring Peter Jackson’s New Zealand, here’s a guide to many of the ‘Lord of the Rings’ filming locations. Where the Southern Alps meet the lowlands, flanked by the Pacific to the east, the Canterbury region features some of New Zealand’s most breathtaking natural attractions. Vine growing conditions here are nothing short of superb, with an enviably cool, dry climate, and long summers drenched in sunshine. The Banks Peninsula subregion is increasingly well-regarded and worth exploring, as is the exciting Waipara Valley (see below). Expect to encounter a high standard of Pinot Noir, Chardonnay and aromatics in this area. As locations go, it’s tough to beat that enjoyed by Meniscus Wines, just outside Akaroa, which seeks to emulate the great French wines. Their vines grow on the ancient crater rim of the Banks Peninsula, while tastings of Pinot Noir, Pinot Gris and Riesling are provided at the nearby lounge. Just outside the Kiwi adventure sports capital of Queenstown, and ground-zero for full-bodied Pinot Noir, Central Otago is the world’s southernmost wine region. Short, hot blasts of summer are a proving ground for wine-growers, but the results, in terms of purity and complexity, are compelling. There are several sub-regions, including Bannockburn, Gibbston and Bendigo. Wanaka, a stunning lakeside destination, is also well-known for its wines, and if you drive out there from Queenstown you can also spend a while roaming through historic Arrowtown, a focal point of the 1800s Central Otago Gold Rush. Considered by many to be among the most beautiful vineyards in the world, the Rippon Estate boasts some of the oldest vines in Wanaka, and looks out across that stunning lake. A distinctive terroir, and innovative biodynamic techniques, make their well-reviewed wines unmissable. Tastings are available year-round. Stop by Brennan Wines, in the Gibbston subregion, for a few glasses of their notoriously good Pinot Noir, and you can also indulge in a relaxed game of petanque, or purchase a small picnic of cheese and meats to accompany your tasting. 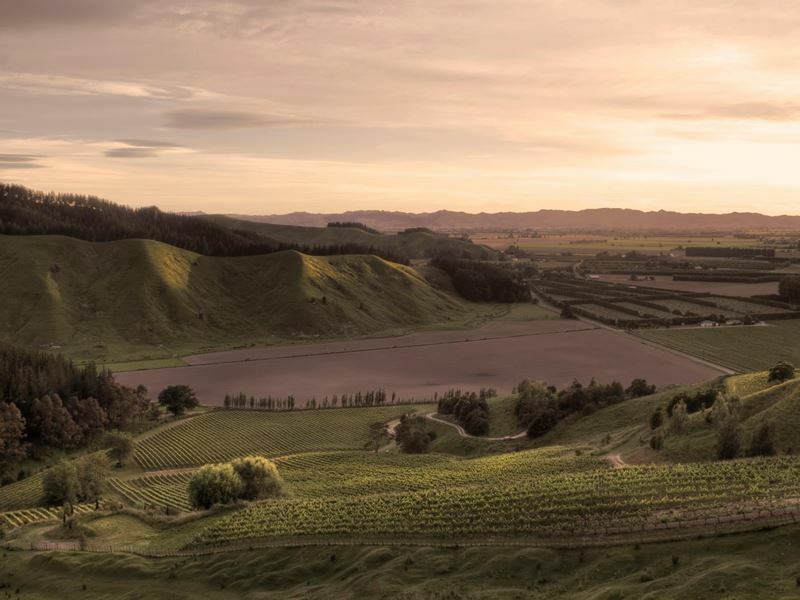 Marlborough is the largest and perhaps the most esteemed of all New Zealand’s wine regions, and the one that really brought Sauvignon Blanc to international attention. Almost 80% of New Zealand wine originates from Marlborough, but large scale production only began in the early 1970s, shrouded in secrecy and forced to overcome serious challenges first, including the global wine glut in the 1980s and an outbreak of Phylloxera, that convinced growers to become more attuned to the marketplace. You could hardly ask for better vine growing terrain than this land of sunshine, where the rainfall is reliably low, seasonal frosts rare, and the soil is free-draining. The level of variety is astonishing, but Marlborough is of course best-known for its conquering Sauvignon Blanc, as full of zest as ever. You’ll also discover a pleasantly diverse selection of reds here, with Pinot Noir growing in stature, aromatics and the odd excellent rose. The Brancott Estate was the first Marlborough vineyard to produce Sauvignon Blanc, and since then the awards have just kept on coming. Visit for a tasting, and you’ll be following in the footsteps of Queen Elizabeth II, who planted her own vine here back in 1990. Cloudy Bay is another early Marlborough pioneer, and a flagship brand known around the world. The bay itself was named by Captain Cook, and among other experiences available here beyond wine tasting are helicopter tours of the vineyard, yachting in the Marlborough Sounds, and foraging for wild food with expert guides. The third Marlborough icon we suggest you visit is Hunter’s in Blenheim. Amazingly, their first six wines took home awards, and the story of how Marlborough Sauvignon Blanc rose to prominence couldn’t be told without them. 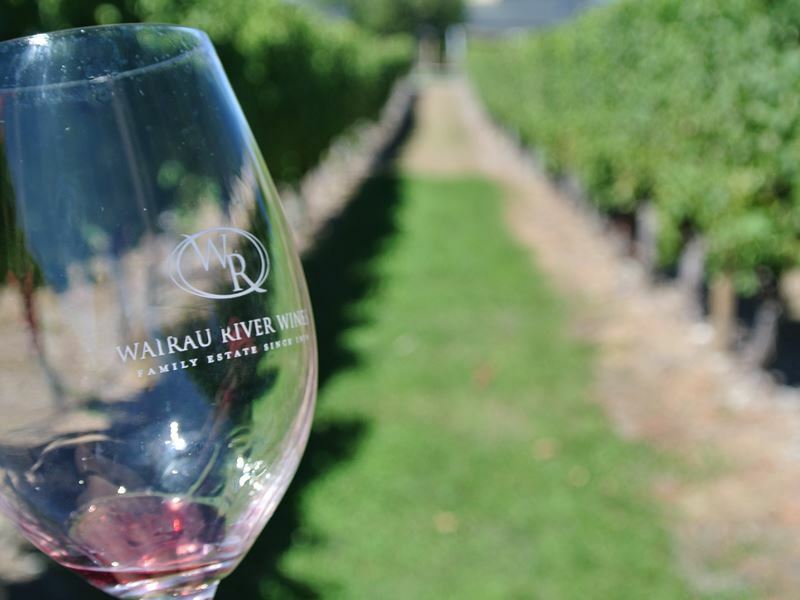 The family behind Wairau River Wines spent years providing grapes for other producers before they decided to launch their own label, valuable experience for when it came to getting the most from their yield. Cellar door tastings are in a blissful setting on a sun-splashed lawn, while the restaurant, also run personally by the family, serves seasonal cuisine tailored to match their wines. The Waitaki Valley wine region is located on the 45th parallel south. That’s to say, the (theoretical) halfway line between the equator and the South Pole. New Zealand is one of the few places on earth where the parallel crosses dry land, and what land it is. The Waitaki river is fed by waters flowing down from Aoraki / Mt. Cook, New Zealand’s highest mountain. This unique terroir is sandwiched by the wild South Pacific to its east, which provides cooling coastal breezes, and the snow-tipped Southern Alps to its west, shielding it from the rain. Vineyards line a short strip of land that finishes in the quirky township of Omarama. The climate, along with the limestone in the soil here, has resulted in characterful and complex varieties of Pinot Noir and Chardonnay with plenty of body, and several fruity aromatics such as Riesling and Pinot Gris. Turning out excellent cool climate wines in the Waitaki Valley, Ostler has several hectares of vines on its own estate, but also sources grapes from other growers in the same area, resulting in what they like to call ‘liquid geography’. Relative newcomers on the Waitaki Valley scene, Black Stilt Wines produce wonderfully drinkable Pinot Gris, along with Pinot Noir and Riesling, from densely planted terraces running down to the river. Every bottle that you purchase contributes to the conservation of the endangered Black Stilt wading bird, that is found nowhere else in the world but here. Technically, the Waipara Valley is a microclimate of Canterbury, but given the quality and quantity of the wine now emerging from this area, we we felt it deserved its own section. The first vines were planted as recently as the 1980s, so this is still something of a hidden gem, but don’t expect it to stay that way for long - the Waipara Valley could soon establish itself as one of the South Island’s premium wine regions,drawing considerable acclaim for the expression of its vintages. The terrain here, with a range of soil types from limestone to gravelly loam, is very well-suited to the grape. It supports more than 70 vineyards and 20 wineries, many of which offer typically laidback cellar door tours. Like the Waitaki Valley, this area enjoys long, warm and dry summers, and rainfall is limited by the Alps. In North Canterbury, and just a short drive from cosmopolitan Christchurch, the Waipara Valley is one to seek out. 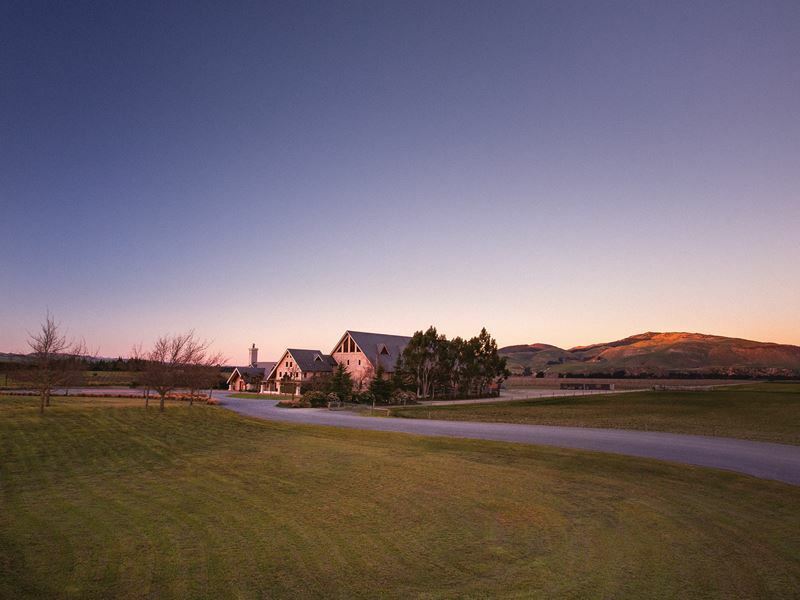 Owned by the Donaldson family, who were among the pioneers of vine growing in this area, and producing a wide range of styles, Pegasus Bay sits snugly in the lee of the Teviotdale Range, just 30 minutes by car from Christchurch. This legendary, critically renowned vineyard can be considered one of the South Island’s must-visits. At the Waipara Hills Estate, the winemakers are true masters of their craft, producing vintages that are textured and flavoursome. The aromatics and Riesling on offer here are particularly worth your time to investigate. Wine tasting in New Zealand can either be the focus of your holiday, or handily combined with other experiences from golf to hiking. While very few travellers will have the luxury of being able to explore several regions in-depth, it is quite possible to plot a brisk route through a handful on each island over a few weeks. You might concentrate on the big names - Marlborough, Gisborne, Hawkes Bay - or look at the up-and-comers such as Waiheke Island and the Waipara Valley. 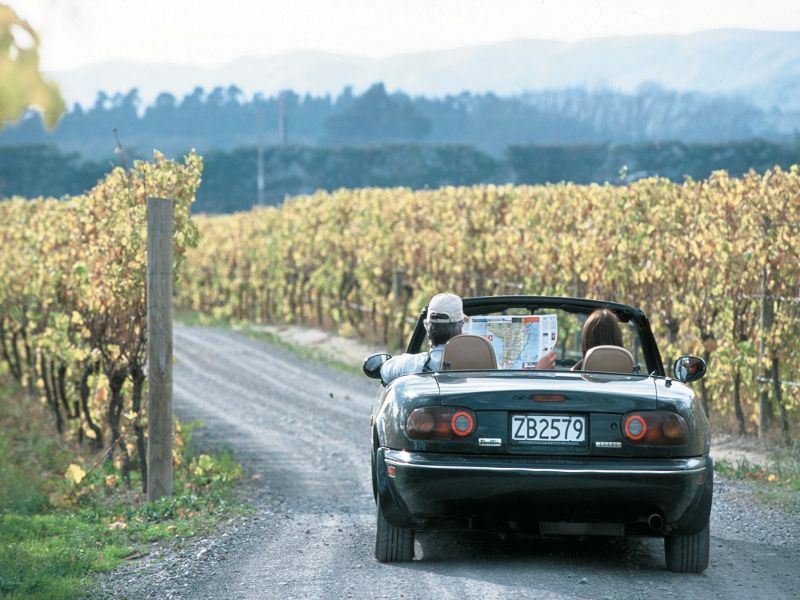 One popular route is flying into Wellington or Auckland, where you’ll have many vineyards accessible in a short drive, and then crossing over via the Picton ferry to stop in the Wairarapa / Martinborough and Nelson Tasman regions on your way down to Christchurch. Appointments for tasting are rarely necessary, but are usually advisable especially for the more popular wineries and vineyards. Most wine regions are on the east coast. Maps and suggested routes are freely accessible online or in accommodations, to help make your wine touring holiday in New Zealand run smoothly. Plus, as New Zealand’s wine regions run the length of the country, you can also add in many iconic landmarks along the way, including the glow worm caves of Waitomo, the Weta workshop in Wellington, the art deco architecture of Napier, or the gorgeous beaches in the Bay of Plenty. It’s a perfect idea not just for the wine connoisseur, but also for those who simply enjoy a good tipple and perhaps want to expand their knowledge and tastes. Producers are known for their welcoming attitude and the relaxed approach they take at the cellar door.